Willow Creek Ranch has been family owned and operated for more than 100 years. With a rich history and antique barn, The Jones Barn offers everything a bride and groom need to perfect their wedding day endeavors. Currently owned by David Jones, David purchased the ranch after his beloved father Jack, went to be with the Lord Jesus Christ. This scenic ranch is a place to marvel at and behold; plus, it's an active ranch where David raises cattle and other farm animals. Nestled in the quiet country hills of Texas, it's only moments away from Cleburne and with a plentiful variety of outdoor features such as majestic hay fields, ponds, and natural streams. And then there's the barn. At just over 100 years old, our extraordinary barn includes all the remarkable details of antiquity guests can enjoy. With towing wooden trusses and indoor balconies, this design is perfect for weddings and events on any scale. Our venue is unique and sure to provide a memorable experience for all who visit. We proudly host weddings, ceremonies, receptions, birthdays, family reunions, special celebrations, and corporate events. Our hope is to offer our own place of beauty for you to share your most prized moments. 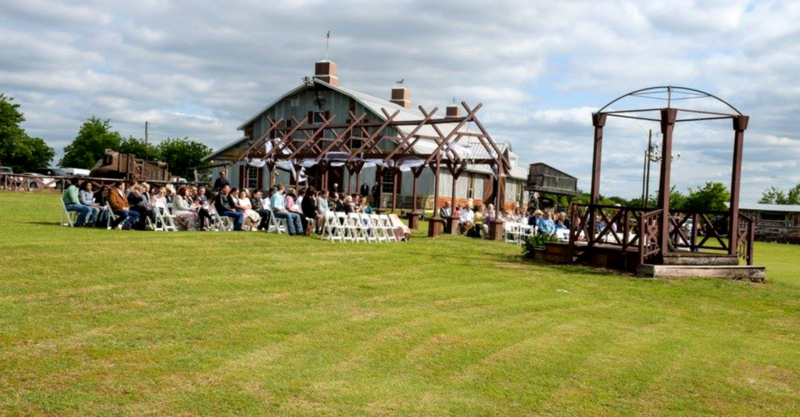 So if you're needing a remarkable wedding and event venue, The Jones Barn awaits you.